The August featured artist is Meghan Sheahan of “One Thirty Jewelry”. Meghan, a professionally trained jeweler, creates one-of-a-kind jewelry; bracelets, earrings, rings and necklaces. She combines metal techniques with traditional materials, including wood, semi-precious stones and vintage beads. She creates wearable statement pieces that have a balance of modern, rugged and elegance. 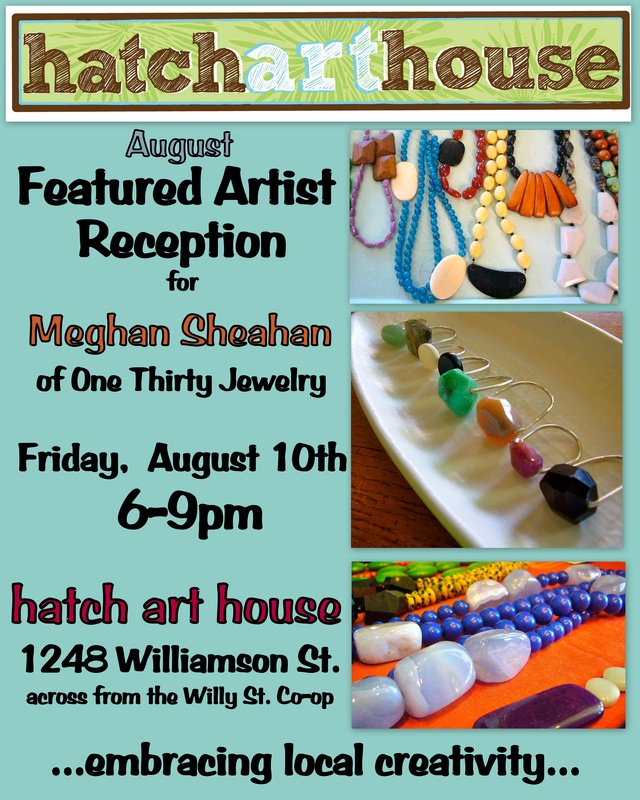 Meghan will be showcasing her work from August 1-31 with an artist reception Friday, August 10th from 6-9pm. Good times and refreshments will be served.